The Glenfiddich Distillery was founded all the way back in 1886, but the brand continues to experiment and innovate. 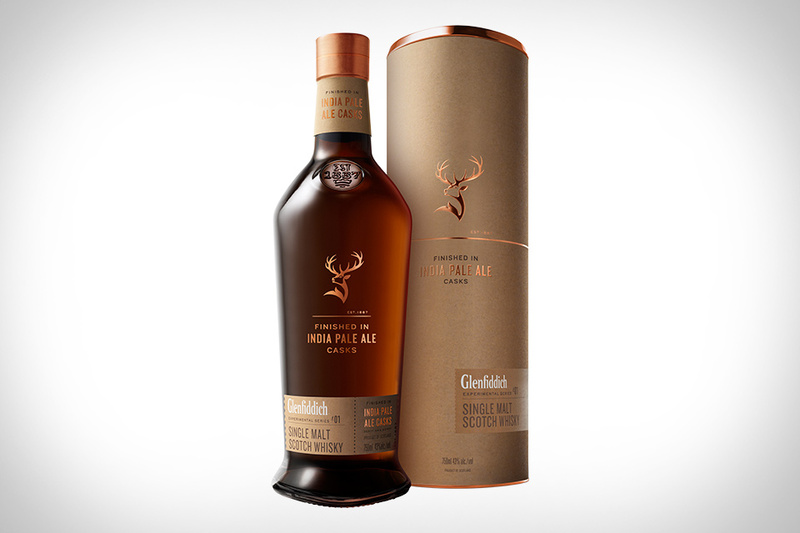 The Speyside distiller's latest experiment is Glenfiddich India Pale Ale Cask Finished Whisky, which began in collaboration with a local brewer who whipped up a fresh IPA to permeate their oak casks with hoppy flavors. The casks where then re-filled with whisky to pick up the citrus and hop notes. The finished product is the first single malt Scotch whisky ever finished in IPA casks and is something every fan of scotch and hops should track down. In the whiskey business, demand continues to grow for extra-aged whiskies. And it's not very often that you see one as old as Orphan Barrel Whoop & Holler Whiskey. Whoop & Holler was distilled and bottled at George Dickel Distillery in Tennessee, and spent a whopping 28 years in barrels. Made using Cascade Spring water and charcoal mellowed using Tennessee sugar maple charcoal, it's likely to be the oldest American whiskey you'll ever see, and it won't be around for long. It's not easy to get your hands on a bottle of Mitchter's Bourbon or Rye Whiskey, but this release of Mitchter's Barrel Strength Rye Whiskey is available — at least for the time being. While most whiskey enters the barrel around 125 proof, Mitchter's Rye goes in at 103 proof — which costs more and provides a richer tasting product at a younger age. The rye is also a single barrel release, and this particular batch weighs in at 114.2 proof. Available now and a perfect addition to your growing whiskey collection. The rye whiskey renaissance continues with Catcher's Rye Whiskey from Two James Spirits in Detroit, Michigan. Two James is the first licensed whiskey maker to open in Detroit since Prohibition, and they distill Catcher's Rye using 100% rye from Michigan and pure water from the Great Lakes. Aged for a minimum of two years in new charred American oak and bottled at 98.8 proof. While most Japanese Whiskey leans towards the flavors you find in Scotch, Kikori Japanese Whiskey has a distinct flavor profile thanks to a 100% rice mashbill. Kikori uses local rice that has been cultivated in southern Japan for over 2000 years, and then cooks it in giant steel steamers. Each batch then spends at least three years in American Oak, French Limousin oak, and Sherry casks before being bottled at 82 proof. Leaning more towards Irish Whiskey than Scotch, it's a light, refreshing option with plenty of flavor and complexity. Some of the most unlikely collaborations are the best. And Brainville Rye Whiskey from Few Spirits and legendary Grammy-winning band The Flaming Lips fits squarely into the unlikely category. Just like Few's award winning rye, it's made using rye, corn, and malted barley that is grown within 150 miles of the Few Distillery and then aged in new, charred American oak barrels. The whiskey is then packaged in the familiar rectangular Few bottles with a special psychedelic label that shows the influence of the Lips. Available this October and limited to 5,000 bottles. Named for the late Jim Beam Master Distiller Booker Noe, this rye is made from some of the last barrels he laid down before his death. His son Fred, the current Master Distiller, selected some of the best from the 13-year-old batch and bottled them at 136 proof and it's already known as one of the best barrel-proof rye whiskeys on earth.